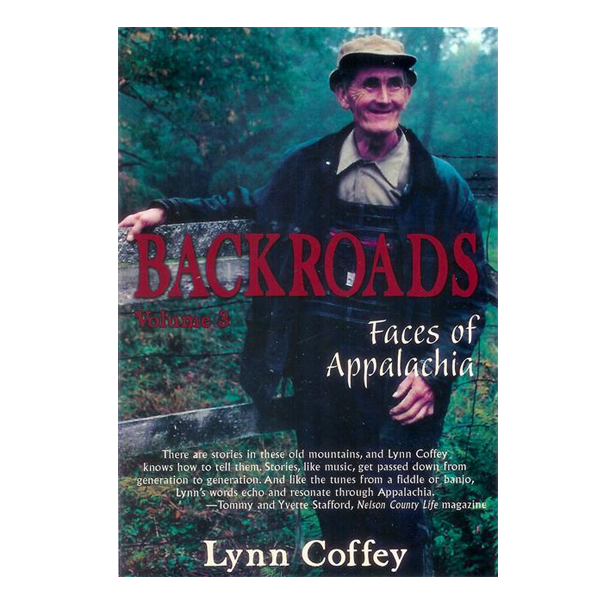 Faces of Appalachia is the last book in the Backroads series of southern mountain culture by Lynn Coffey. The thirty-six chapters contain information about gardening, cutting firewood, making maple syrup, squeezing apple cider, the CCCs, scrub board washing and outdoor privies, along with more personal interviews with the mountain people. The 9x6 inch format matches the first two books and it contains 312 pages with 195 black and white photographs depicting the lifestyles and crafts of the Blue Ridge natives.